ST. PAUL, Alberta (CNS) — As firefighters fought to save Fort McMurray from a wildfire that threatened to destroy the northern Alberta city, a bishop gave thanks that there had been no loss of life. St. Paul Bishop Paul Terrio, whose diocese includes Fort McMurray, also said in a May 4 statement that the city’s St. Paul Church is rumored to have been destroyed in the blaze that forced the evacuation of the city’s entire population the previous day. There were no reports of deaths or serious injuries. The entire neighborhood of Beacon Hill appeared to be lost, according to local officials, while the fire had spread to other neighborhoods. Officials said they feared the fire could worsen. Bishop Terrio said that as the full extent of loss and damage becomes to be known, the whole community would be called upon to help rebuild and resettle the city. 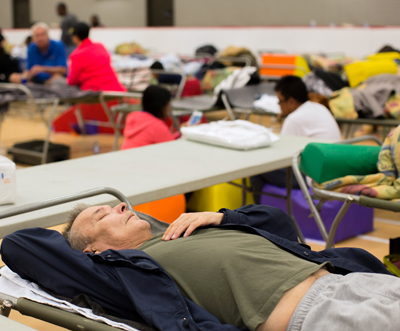 The diocese planned a second collection at all Masses May 7-8 as a first step for the relief effort and to support all those who lost their homes. 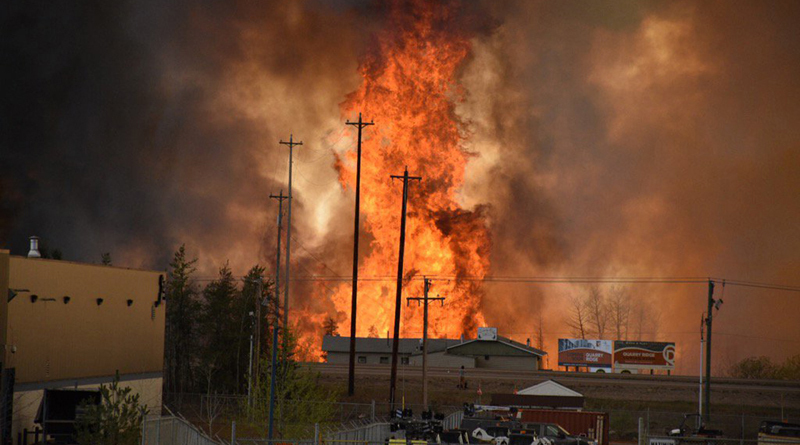 “This fire disaster is a hard blow at a time when Fort McMurray is already struggling under an adverse economic situation,” wrote Bishop Terrio, noting the economic slowdown with the worldwide drop in oil prices that has severely affected the local economy in the heart of Canada’s oil country. “But with our faith, our hope and our love for each other, we shall, as a young local evacuee said on Facebook last night, build a ‘better Fort McMurray,'” he said.